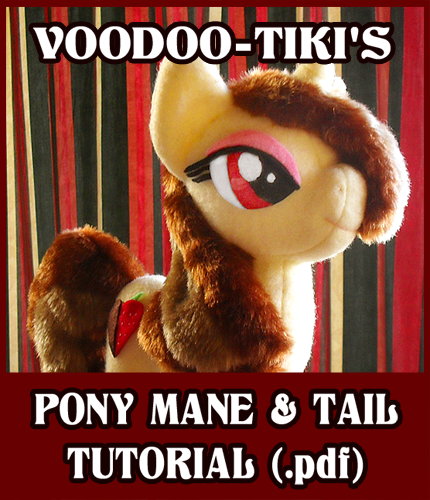 Here it is, at last - a 14 page book with instructions on designing your own patterns for soft sculpture pony manes and tails! This is the question I'm asked about most when it comes to pattern-making, so hopefully this will help beginners out quite a bit. It covers the basic shapes and techniques you'll need to recreate most mane shapes and includes a photo walkthrough guide to pattern draping. would derpy's mane be layered? But it depends. You could use seems on your machine to makes likes too. Thank you so much for this, it is brilliant! Is there any rainbow dash like mane patterns? If you don't could you give me some pointers for it? How do you anchor wiring that's in the tail into the body? wheres the pattern for the body? This is so helpful! I've always struggled with the mane and tail, them usually being the parts I spend the most time on or stress over the most, only for it to fall apart in the end. I only can use house hold materials for my plushes, seeing that as a fourteen year old I can not obtain money or a car to get the supplies needed. If I needed to weight the tail, (Which I usually need to do since they are always top heavy) And I didn't have a way to obtain the beans, how could I weight the tail? Anyways, besides that I don't have any questions. This tutorial was so helpful. This may sound a bit weird, but personally I use unpopped popcorn kernels instead of the plastic beans. If that fails I tend to use two pence pieces, (Not sure where you're from but you can use any type of coin, I just use 2ps because they fit perfectly in the bottom of the hoof.) or small, rounded or flat rocks, just make sure to wash them. Anyway, I hope I was helpful and if not, that you find out a way. I am so tempted to commission you and microwave the finished result. Thank you! This will be a big help for future projects and such! This is a wonderful, helpful tutorial, but I'm still confused about something... How do you sew a princess mane, with lots of waves in it? Every time I try one, I end up with weird, blocky turns, not nice, smooth waves. What did you do for the eyes? I'm not one for sewing ponies, but damn if this isn't useful. So you would make Rarity's mane curl using nothing but darts? Darts and stitching, yes. You can wire it, but I prefer a plush that doesn't have wires. It sounds like a lot of work and frustration without wire haha. thanks for this tutorial! it will really help me fine tune my hair patterns. can you just take an unfinished pony plush, and use the first head piece to sew in eyes, or is that bad? 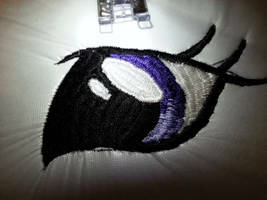 Sew in eyes like an applique, you mean? This is so helpful!! I find manes and tails the hardest parts to make! what an awesome and well instructed tutorial! I didn't know that technique for curled shapes before. Tiki, this has singlehoofedly taught me more about shaping and patterning than anything I have ever read. You have done such a marvellous job of illustrating and describing the techniques, I can now say I feel confident in tackling this task! Thank you.. thank you.. THANK YOU! Thanks! It's kind of sad, there doesn't seem to be a book out on the market about basic pattern drafting that's more recent then the 80's, so I was hoping this would help folks out. cool! thank you this will be helpful! This is great, and very helpful! It is so kind of you to share your patterns and such! Thank you! This is a great tutorial. I love your information on darts, since I haven't done much work with them. You're amazing! So wonderful that you offer this to people for free. I ended up making my own mane and tail patterns for my daughter's and niece's ponies. They turned out good, but this would have been SO helpful at the time. This looks great!! I cant wait to try out these techniques when I get new fleece! I have one question though, which technique do you think would be best for creating Rainbow Dashes Forelock? The multidimensional shapes method, or just making it flat like the way you did the striped tail?